How to download contacts from iPhone? 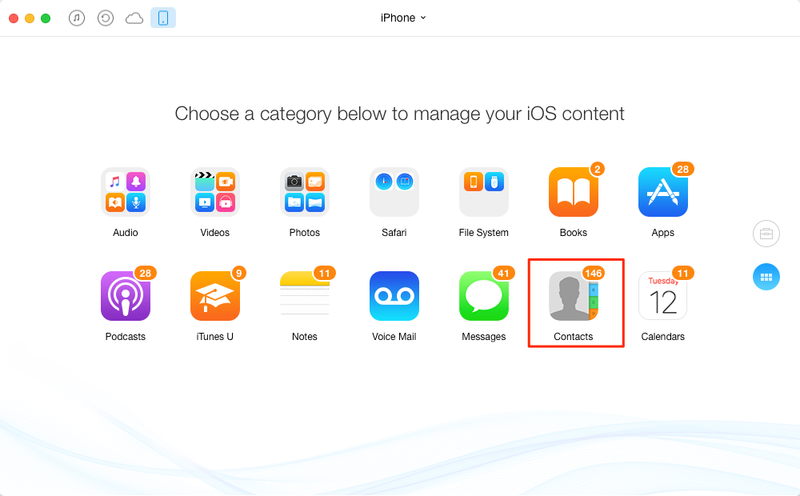 If you are seeking for ways to download contacts from iPhone, here you will find out how to make it. Read this guide on downloading contacts from iPhone to get the solution. Have a try on this all-in-one iOS content manager AnyTrans on your computer to download contacts from iPhone. Now read on this guide on how to download contacts from iPhone. Q: "I've got more than 500 contacts saved on my old iPhone 4s. I want to download them to my computer before it doesn't work any more. I want to some of my contacts to my computer as a backup, and I've searched for days but not sure about how to copy all of the contacts to PC without losing any data. Hope there is a better solution." It is no exaggeration to say that Contacts on our iPhone can be regarded as one of the most significant and essential part of the iPhone content. Backing up iPhone content, including contacts is a necessary habit to protect your important info. It's okay to rely on iTunes to back up your iPhone contacts, but you should know that iTunes is a huge program to run on your computer, and there is the possibility that your iPhone data will get lost during the syncing process. In addition, iTunes won't support selectively download contacts from iPhone to computer. So how to download your contacts from iPhone in a safe and easy way? AnyTrans is the way to go. - Supports downloading photos, videos, music, contacts, voice mail, app, messages, calendar, books and more from your Phone to Mac/PC. - Supports directly contact-edit within AnyTrans, you can use your PC keyboard to edit, delete your iPhone contacts quickly. - Supports syncing contacts, photos, videos, music, notes, and more from old iPhone to new iPhone as you want by just clicking two of your iOS devices to the computer. - Supports accessing iCloud backup, and selectively download items to the computer, like contacts, messages, notes, calendar, bookmarks etc. Step 1. Download and install AnyTrans on your computer, connect your iPhone to it. Step 2. Launch AnyTrans, on the homepage, click "Contacts" to enter the contacts management page. Step 3. 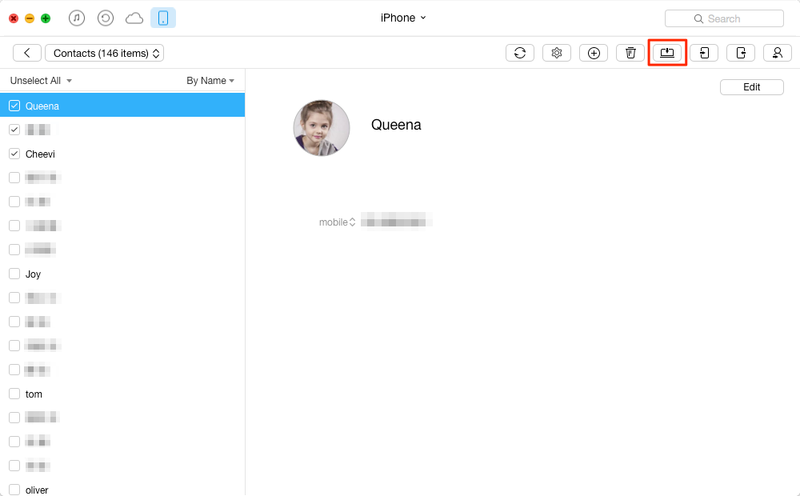 Preview the contacts, and click the To Mac button to download contacts from iPhone to your computer(AnyTrans also allows you to edit the contacts info by just clicking the Edit button on the top-right of this page). Note: Besides downloading contacts from iPhone, AnyTrans also does great job on transfer contacts from iPhone to iPhone. If you just got a brand-new iPhone 6 (Plus), AnyTrans would be a great helper to transfer data to your new iPhone, including contacts, music, videos, photos, apps, notes etc. Downloading contacts from iPhone is as easy as ABC with the help of AnyTrans, and it is also a great way to backup contacts. Any question on this guide or AnyTrans is warmly welcomed, meanwhile, remember to share this guide with your friends. Take a tour with AnyTrans now!